The myth that African agriculture and livestock farming is causing desertification originated early in the colonial times. The reason was that colonial authorities wanted to exploit resources for their own profits. Efficient management of natural resources was presented as part of the white man’s burden. The losers were smallholder farmers and herders who lost access to resources. Desertification in Africa has been declared dead by scientists many times over the past 30 years. Yet, the narrative keeps returning – no matter how hard you kick back at it with facts. In 1990, I wrote an article in Norwegian titled “Desertification – a myth?”. As part of my first research project, a dissertation in Geography that I completed two years earlier, I had studied aerial photos from northern Mali. The photos showed large areas with dead trees after the mid-1980s drought. The Sahel south of Sahara definitely looked desert-like, and there were many indications that the desert was spreading. However, in the first years after the drought, one could see that the vegetation was returning, and the desert was becoming greener. This process had just about started in the 1990s. At my recurring visits to the same areas in the 1990s and early 2000s, I could observe how the landscape was changing dramatically from one visit to the next. A re-greening of the landscape was clearly taking place. Today, there is a dense tree cover in the areas where I once measured significant deforestation. 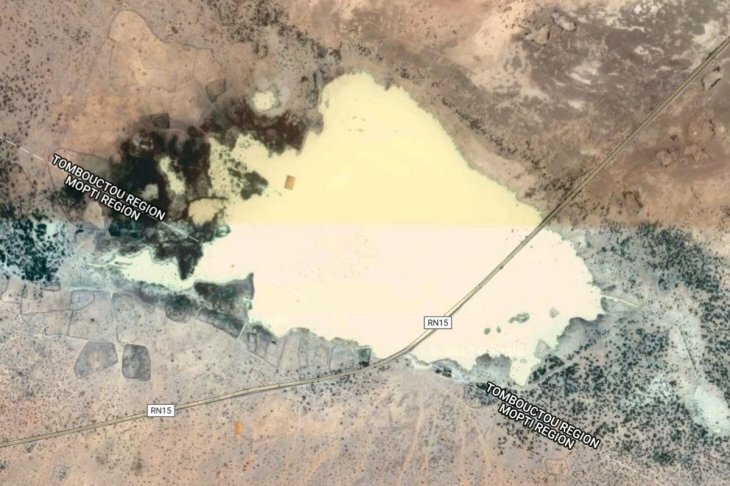 A new lake, Lac Agoufou, has flooded the main road between the villages Hombori and Gossi in Northern Mali, as evidenced by Google Maps. Today, it is too dangerous to travel to this area in Mali, due to the conflict between the government and various armed groups. Yet, during my latest visit in 2007, a new lake had emerged: Lac Agoufou. The French engineers who built this road during the drought in the 1980s could hardly have imagined that a new lake would materialize in the middle of an arid desert. When I visited Mali for the first time 20 years earlier, the 1400-km long main road between Bamako and Gao was brand new. It was simply referred to as “le goudron” (the tarmac), because it was the only road made from asphalt in the whole country. Over the past 10 to 15 years, this road has been blocked for several months at a time by Lac Agoufou, which has emerged between the two villages Hombori and Gossi. Today, Google Maps can easily give us a visualized impression of what this is about. Over the past years, the lake and the surrounding areas have been the subject of several French doctoral theses in hydrology and ecology to explain the emergence of the lake and the increase in other water bodies in the same area. But we are still in need of more knowledge on the fine-grained mechanisms in the interplay between rainfall, drainage, grass, trees, soil and landscapes – and the people’s use of the resources. The area is mainly used for grazing, although there is also some cultivation of finger millet. The experiences from Mali fit into the more general picture of the Sahel region becoming ever greener since the 1980s drought. In the academic literature, this process is referred to as “the greening of the Sahel”. Nonetheless, we keep hearing stories about how serious desertification is in Africa. There are two main reasons for why this narrative keeps returning from the dead. First, it is based on an image that easily sticks in one’s mind – a creeping desert, swallowing green and fertile areas. Second, the narrative has been institutionalized. At first, this process took place through the establishment of the United Nations Environment Programme (UNEP) in 1972. From early on, the as one of the world’s most severe environmental problems. During the years that have followed, this notion has remained immovable, in contradiction to the international research frontier. In 1994, the resolution of the UN Convention to Combat Desertification further contributed to strengthening this institutionalization. In this way, UN employees make sure that the zombie comes back to haunt us at regular intervals. Where do We See More Desert? Every year around the 17th of June, the zombie comes back to life. This is the UN’s World Day to Combat Desertification and Drought, where we see various initiatives from UN representatives and media coverage from around the world. Still, the UN is not capable of telling us exactly where desertification is taking place. Even if they do for once provide a concrete example, the case is often anecdotal and can easily be turned around. UNEP is still a key part in the UN’s work to stop desertification. Evidently, the UN has no intentions of letting the zombie rest in peace. 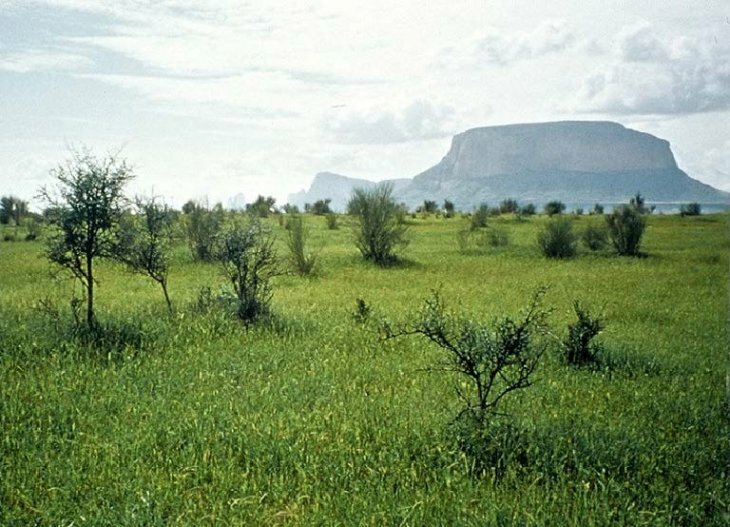 Inspired by the UN and the media publicity, African state leaders have launched the idea to establish a 15-km wide and 7,100-km long green wall of trees, going all the way from Senegal to Djibouti, to stop the desert from spreading. At the climate meeting in Paris in December 2015, this gigantic project was promised 4 billion dollars in donor funding. Besides this, it would get a further 100 million dollars from the World Bank and additional support from France. In addition to stopping the process of desertification, the goal is to mitigate climate change through tree planting. At the same time, we know from previous tree-planting projects that only a few percent of the trees that are planted in Sahel will survive, unless they are being watered by hand. In other words, the project may potentially become a massive squander of aid, similar to earlier actions to stop desertification. While dry areas cover 40 to 45 percent of the terrestrial surface of the earth, the UN claims that 70 percent of this area is threatened by desertification and that 168 countries are affected. UNEP is still a key part in the UN’s work to stop desertification. Evidently, the UN has no intentions of letting the zombie rest in peace. The American professor Diana Davis has recently published a book on the history of desertification. She shows how the idea that African agriculture and livestock farming is causing desertification originated early in colonial times, because the colonial powers wanted to use the resources for their own profits. The idea of desertification has made some people accumulate resources and capital, while leaving others in increasing poverty and without potential for development. This could be done through commercial exploitation of timber, and through cash crops – like cotton, groundnuts or rice. In addition, conservation areas would be reserved for sport-hunting. Officially, this was presented as part of the white man’s burden and civilizing mission – to introduce a rational and scientific administration of natural resources to arrest environmental degradation. The losers were smallholder farmers and herders, who lost access to their resources. In this way, the idea of desertification has made some people accumulate resources and capital, while leaving others in increasing poverty and without potential for development. Davis argues that the UN has taken over the role of the former colonizers. The UN has inherited the way in which the colonizing countries understood the problem of drylands in Africa. Accordingly, the UN continues to employ a top-down perspective in resource management, and apparently in line with scientific expertise. In reality, the management stems from outdated attitudes and is out of touch with the forefront of today’s research. In addition, the experience-based knowledge of smallholder farmers and herders in arid areas, which is based on centuries of trying and failing, is completely ignored. Scientific research over the past 30 years has shown that the idea of desertification in Africa is a myth. It is now about time we let the desertification zombie rest in peace. This blog post was first published in Norwegian by Bistandsaktuelt.